Jennifer is a natural Clairvoyant who never fails to give her clients the answers they are looking for. 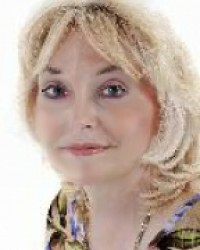 Jennifer is one of the most experienced Clairvoyants - she's been reading since the age of 16. A psychic reading is a very personal experience that can be so enlightening and heart-warming. One of Jennifer's advantages that make her unique is that she doesn't need to ask loads of questions, in fact you will be the one who will be asking the questions because she will have given you so much information. She will gain your trust and save your relationship! It might be a bit difficult to get a hold of Jennifer as she is very popular, so don't hesitate: Call 0207 111 6304 from the UK, or 1877 608 3731 from the USA and book your reading! Clients who have followed her guidance soon found true happiness.